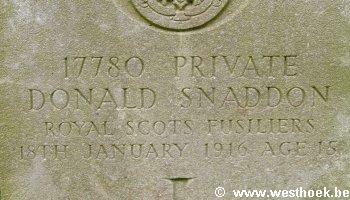 Private DONALD McLEOD SNADDON 17780 1st Bn., Royal Scots Fusiliers who died on Tuesday 18 January 1916. Age 15. 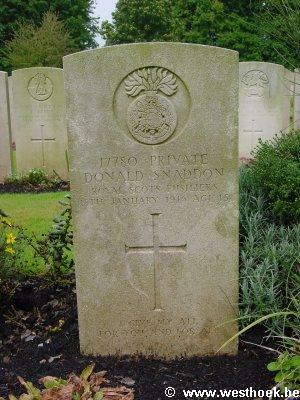 Private D. SNADDON ligt begraven op Lijssenthoek Military Cemetery in Plot II Rij D Graf 37.